Is it really September 30th … just one day before October?! How the heck did that happen?! It seems like summer came and went, and I honestly don’t know where it all disappeared to so fast. (A feeling I’m sure so many can relate to!). But as quickly as the last few months have passed, I cannot say they have been easy (something I also know many others can relate to!). For me July and August were primarily occupied with work and work travel, trying to do everything I could to heal up from my injury as quickly and completely as possible, and training that was still modified as a result of the injury. What I didn’t get to do much of, however, was race! As is no secret, I LOVE to race! I love to race hard, and I love to race often. Ordinarily, racing is one of the most defining aspects of my summer and something I am happy to be very consumed by. But this year I only raced ONE (??!!?!?!) time in the 3 month stretch from June 14th (the day I hurt my ankle) to September 19th. This is the least I have EVER raced, by far, since I first began competitive athletics back as a kid. It has been so strange for me to do so little racing, especially right in the middle of the season, and I have missed it tremendously. This was certainly not what I had planned coming into the year, and I had several other races on my original schedule, but unfortunately my body just wouldn’t allow for the racing I had intended to do after the injury. There is perhaps nothing more difficult than missing out, especially on something your body and mind are so used to doing and your heart is so longing to get back to. But the reality is that as athletes we have to listen to, honor and respect the needs of our bodies, and likewise we have to give injuries the time and respect they need; even if it’s much more than we anticipate or want it to be! Skipping some of the races I’d really wanted to do this summer was disheartening and far from easy, but I knew it was the right thing to do, and the most advantageous thing I could do for myself in the long run. I did make it to the one race that I really, really wanted to be at most this summer, if at all possible: the Vineman 140.6 (Iron-distance). This is a really special, important race to me that I try to be at and prioritize as my big summer race every year, and I was pretty determined not to miss it, so long as I was at least healthy enough to make it through the day without doing further damage to my ankle or significantly halting my healing process. After working with a couple of AWESOME physical therapists, I was confident that I would be able to get through the race without furthering the injury or having a significant impact. (Though I’m sure it certainly didn’t help with the healing process!). I was not so confident, however, in terms of my own preparedness, as I had only been able to run 5 times, for a total of about 50 miles, in the 6-week period leading into the race (and I was now about to try to run 26.2 miles at race pace!) — eek! 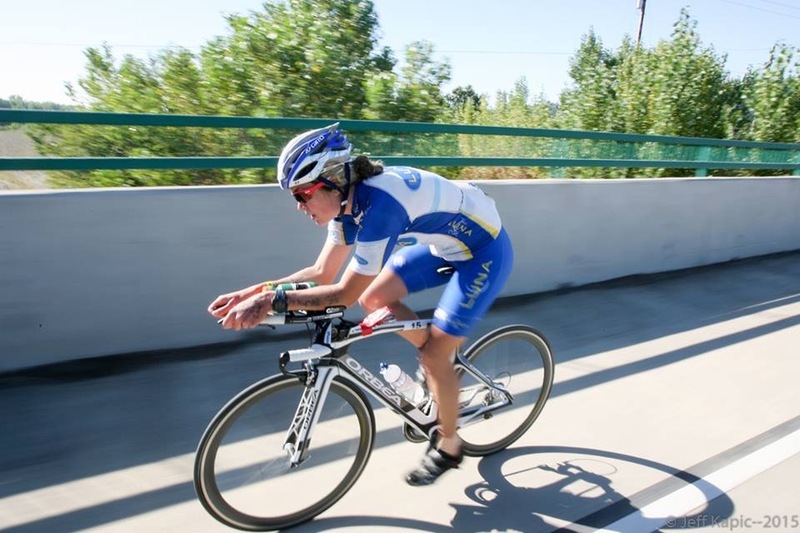 The Vineman ride, en route to a 3rd place female finish. Photo by Jeff Kapic. 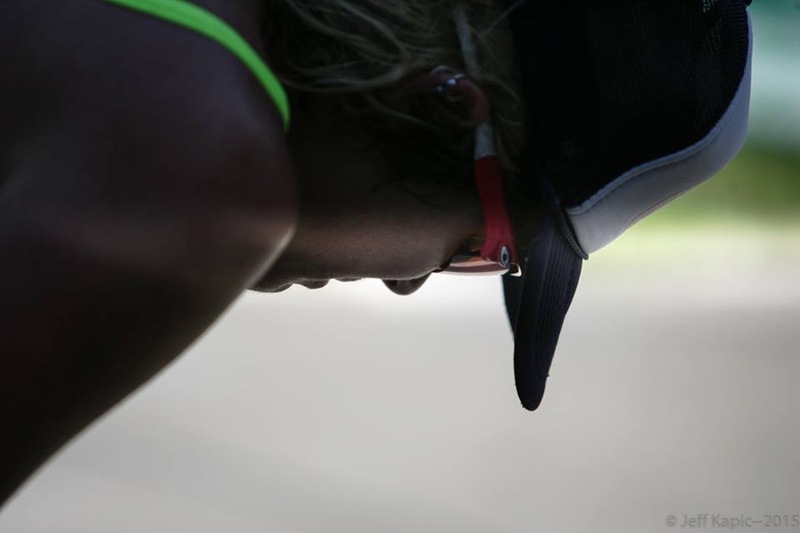 I knew that realistically I had to adjust my expectations ahead of Vineman given everything I’d been through and the fact that my body was not remotely close to the shape it would have been in had I not been still working through injury. This was hard for me, because initially this was my big mid-season A race, and I had some really big goals for it. I knew they probably weren’t attainable any more, but deep down I think the athlete in me still wanted to believe it was possible for me to achieve my goals despite the circumstances, and I held on to that belief coming into the race because, well, that’s what athletes must do: believe that anything is possible. Needless to say, expecting myself to race as fast 6-weeks-post-injury as I would have on a completely healthy body and a healthy, complete preparation period was certainly unrealistic, and it proved to be a Hurculean effort just to make it to the finish line. The run was tremendously difficult — much more so than I ever expected — and I made it through pretty much exclusively on grit and a whole lot of heart. (But it was far from pretty!). As it turned out, the race once again proved to be a very challenging day for many, and despite the circumstances I was still able to gut out a 3rd place overall female finish! Woohoo, we got wine! So special to share the day with my sister, who won her division in the 1/2 aquabike! In hindsight, I know this was a huge accomplishment, especially given how much work and diligence it took just to make it to the start line, and even more so on to the finish line, let alone to end up on the podium. But I have to admit that when I first crossed the line, I cried. The whole experience was tremendously emotional for me, on so many levels, and I think I was just so overwhelmed by it all that when I made it across the line it was like a total release of all the emotions I’d been holding in since I first turned that ankle over back in Richmond. It was a whole confusing, conflicting jumble of: relief of having finished the race knowing how much I had to go through to get there; disappointment of having wanted to give so much more of myself to that day than I was ultimately able to, and not fulfilling that part of me that still chose to believe I could; sadness for myself thinking of how much challenge I’ve faced his year, but pride knowing how much I have overcome; gratitude for being able to be out there and doing what I love, even if not at full capacity; and so immensely wishing that I was back to 100%. That finish line came so differently than I had envisioned it would for many months beforehand, and the journey was so different than any other I’ve experienced en route to an Ironman finish. But once I had some time to reflect on everything, to feel a little less overcome by all the emotion surrounding it and a little less exhausted from the effort, I realized shortly after that this was an Ironman journey I should feel nothing but particularly proud of. An emotional finish for an emotional journey. Photo by Jeff Kapic. 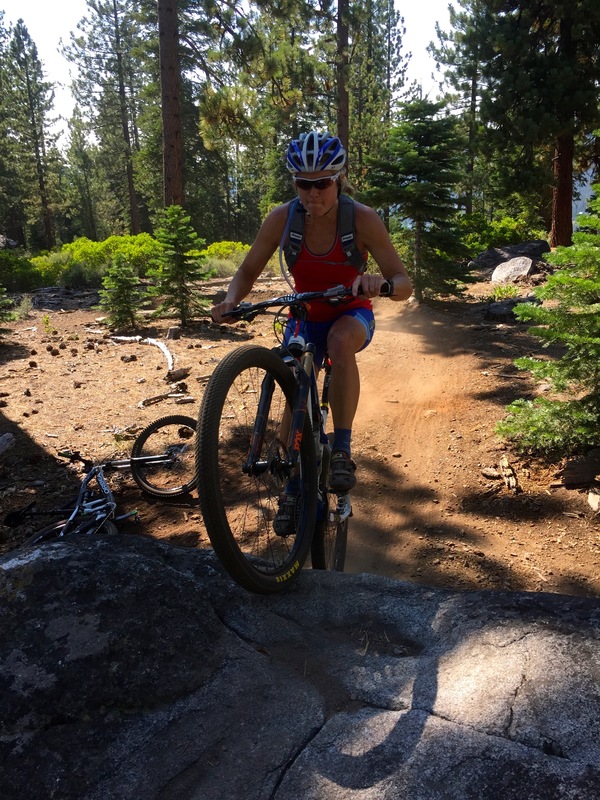 After Vineman, I really turned my focus and energy to trying to get my ankle healed as completely and as well as possible before Xterra Nationals (9/19) and Worlds (11/1). I took any other potential races I’d been looking at off the radar, knowing that what I really needed was just more time to get as healthy, strong and prepared as I could for those key events. Normally training races would be a big part of that preparation, but I had to take a different approach this time. My training was still somewhat modified as I worked to progress through various phases of recovery and gradually be able to do more things, but ultimately by the end of the summer I was able to do a LOT more than I had been at the start, which is a good feeling! I knew when it first happened that this was ultimately going to be a pretty significant injury, but I had no idea just how long the healing process would be, or how much it would come to impact my entire season. Trying to get back to full capacity has been so much more challenging and involved than I anticipated, and it’s a process that is still ongoing. My left side has yet to return to full strength, and my range of motion is significantly limited. I’d be lying if I said it hasn’t been frustrating, or that I haven’t gotten discouraged. Honestly, I felt like I was just finally coming back into form after the hand surgery this winter when this injury happened, and in a lot of ways I felt like that brought me right back to square one, which was a pretty tough blow just when I was really gaining momentum and racing so well! It’s a challenge not to feel disheartened and feel like life is just really unfair sometimes (which, as we all know, it is!!). But I’ve done the best I can to keep my head up, stay focused on the things I can do, and try to find the opportunity in the situation. When I hurt my knee in 2013, it really ended up to be a blessing in disguise, as I was forced to focus so much more on biking than I otherwise would have, and I saw tremendous gains in that discipline, with little impact on my running. I’ve tried to look at this in the same way in that perhaps it would enable to me to really focus on some of the small but fundamental things I always knew I needed to address but just hadn’t because I was so consumed by other aspects of my training. 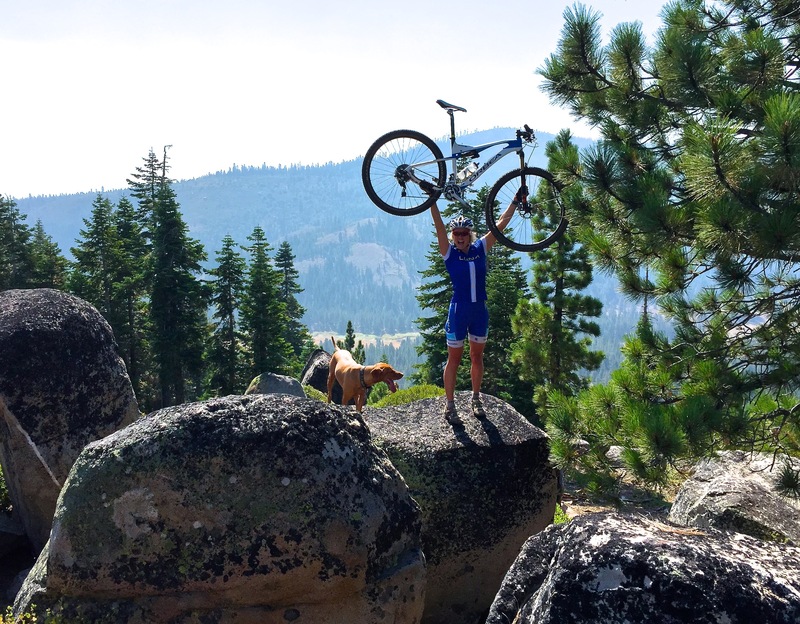 I decided to approach it as an opportunity to finally really address some of the other nagging issues with my body (hips, back, generally feeling like an 85-year-old who happens to be a professional triathlete, etc. ), and hopefully get them sorted out, and also to really focus on my functional strength and mobility and make some big gains in the gym – something I otherwise would not be able to do during the middle of my season. So I’ve done all I can to treat this as an opportunity, to see all the silver linings, and try to make the most of what I am capable of. Nonetheless, as is always the case with injury or really any setback, it has been a roller coaster. There are days when I feel like I’ve made huge progress and am really on my way to coming back stronger than ever, and then there are other days when I feel like things have completely regressed and it seems like the ankle will never be completely healed. I’ve had days when I feel super positive about the process and about my abilities to overcome all these challenges, and then I’ve had days when I’ve felt nothing but sorry for myself. I’ve had days when I’m able to keep things in perspective, credit myself for the progress I’ve made and the work I’ve put in and really take things one step at a time, and I’ve had days where I feel frustrated that I’m not yet where I think I should be. That’s the way it goes, I know: 2 steps forward, 1 step back. But you just have to keep on plugging along and trust that you are, indeed, making forward progress, even if it’s not consistent or fast! Patience is truly the toughest thing. Of course I wish I could have raced more this year; I wish I could have carried through the summer that momentum I spent all spring building, with no hiccups. Of course I wish I was back to full-strength now, and able to race completely uninhibited. But the bottom line is that injuries and setbacks are part of the territory for athletes. No one is immune to the huge variety of challenges we can potentially face. As cliche as it sounds, it really is how you deal with those challenges that matters. When we’re constantly testing and pushing out limits, and when we know we are willing to cross that line and do crazy things like continue to run 2 miles on a terribly sprained ankle because we want to achieve our goals so badly, we must be willing to accept that sometimes there will be consequences. I am continually reminding myself of this, and that I’m working through this injury and the many other challenges so diligently because it’s something that I love, and because there is absolutely no way that I would ever want to give up. After all, every setback is a setup for a comeback. 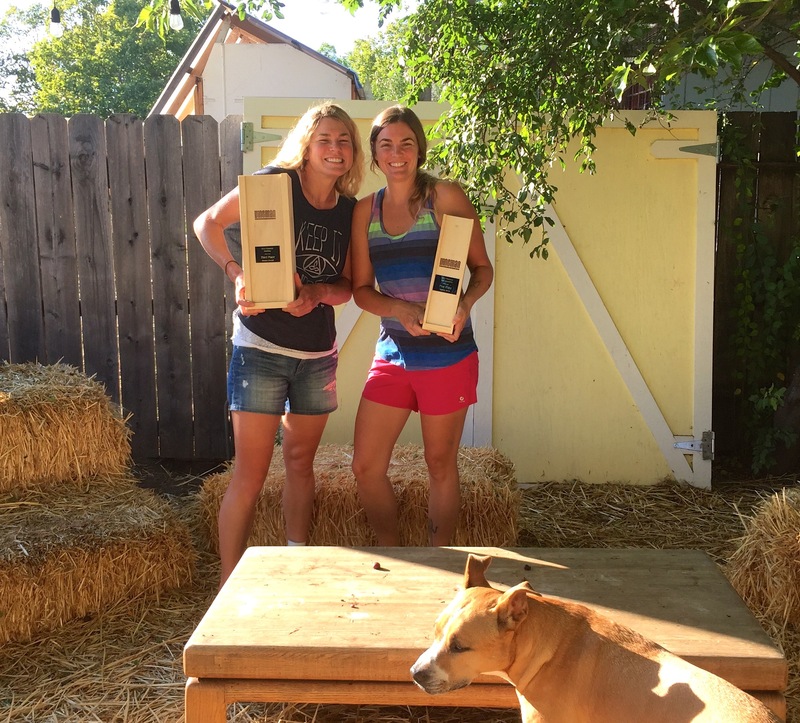 Next up: Xterra National Championship race report!